BleachHouseLibrary.ie: "Even The Dead" by Benjamin Black. Book Review. When a body is discovered in Dublin's Phoenix Park, suicide is presumed. But Quirke's assistant (minding the shop while his boss is on leave) has his doubts and calls the pathologist back to base. Before long, there is an investigation underway, with an old friend, Detective Hackett called in to muddle through the case. When a young girl disappears while under the care of Quirke's daughter, things get a little complicated. Politics, Church and State seem to be interlinked in this curious case and Quirke battles with his thoughts more than his desire for a drink, as he walks the streets of Dublin, searching for answers. 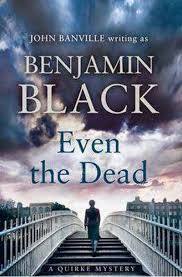 Benjamin Black Is the pen name of acclaimed author John Banville, so you know you are going to get top notch writing. But are you going to get an engaging crime thriller from such a literary source? The answer is a resounding yes. From page one you are plonked into the world of 1950s Dublin, with its historical streets, murky past and reserved political and social atmosphere. 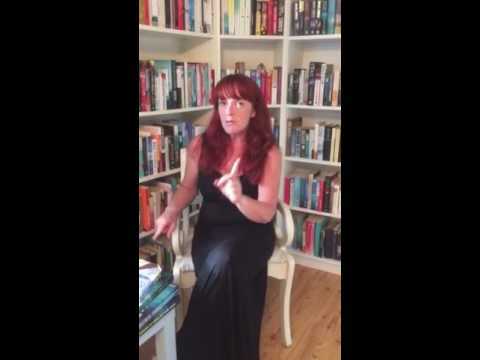 Cleverly, the author uses strong female characters alongside the bare-minimum Quirke. Phoebe, his daughter, is an independent woman, living on her own and working full time for Dr. Evelyn Blake, a consultant psychiatrist. A new-fangled idea in Dublin at the time, psychiatry raises more than a few eyebrows yet Phoebe is delighted to work for Dr. Burke. There is also Rose, the wife of Quirke's step-brother who is a bored wealthy housewife but has a cutting personality and a free spirit. Balancing these characters against the legal, procedural and clerical restraint of the time, Black has succeeded in drawing the reader into the story with subtly and questioning curiosity. While the narrative unfolds slowly, with different threads interlinked, there is a sense of loss at its conclusion. Quirke may have his flaws, but he also has an aura that seems to attract the ladies and upset the men, in equal measures. His determination to reduce his alcohol intake is not rare by todays standards, but is still quite unusual in 1950s Dublin. This, in itself, makes for interesting reading. The thrills are less obvious than a more contemporary based novel, yet the overall package is one of pure enjoyment. Characters are present without over description and their dialogue is what counts. The reader can almost picture Quirke's observations, through his own eyes, while he walks the streets of Dublin and the pubs and hotels of the city are described in all their smoke-filled glory.